Notes: The station was originally known as Elmer's End but the apostrophe was later dropped from the name. 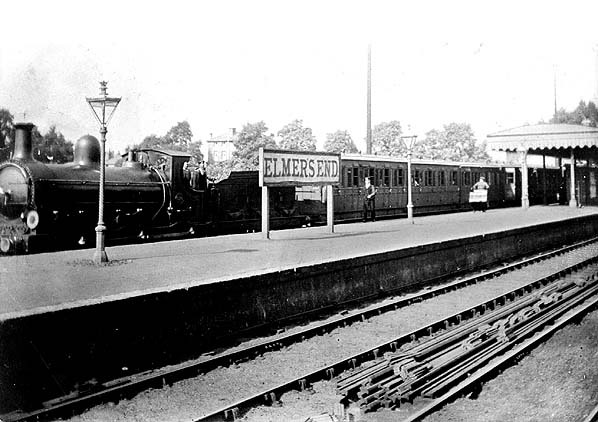 Elmer's End was initially the only intermediate station on the line from Beckenham - Addiscombe, it was provided with two platforms. Following the opening of the Hayes branch on 29th May 1882, Elmer's End station was completely rebuilt to handle the additional traffic. bay on the up side was for Addiscombe trains while that on the down side was for Hayes trains. A new main station building was provided on the up side with a footbridge to the down platform. During WW2 the down side platform was badly damaged in an air raid and a few months later and Addiscombe train received a direct hit as it stood in the bay platform. Freight traffic was withdrawn from Elmers End on 6.5.1963 with closure of the goods depot. The line brought prosperity to the area with new suburban growth and a second intermediate station was provided at Woodside in July 1871, this station also served the nearby Croydon Racecourse. From 1st April 1880, the SER began operating a service between Addiscombe Road and the Great Eastern terminus at Liverpool Street using the new connecting spurs onto the East London Line near New Cross. intermediate station was provided at Woodside in July 1871, this station also served the nearby Croydon Racecourse (site now Ashburton Community School). From 1st April 1880, the SER began operating a service between Addiscombe Road and the Great Eastern terminus at Liverpool Street using the new connecting spurs onto the East London Line near New Cross. On 10th August 1885 the Woodside & South Croydon Joint Railway opened a line from a junction beyond Woodside to a junction with the LB & SCR at Selsdon and on 29th May 1882 a further branch between Elmers End and Hayes was opened.In 1889 the SER merged with the London Chatham & Dover Railway to form the South Eastern & Chatham Railway. Addiscombe Road Station was rebuilt in 1899 but it was nearly a mile from Croydon town centre and was never able to compete favourably with the LBSCR's East Croydon station. In the early 1920's there was a proposal to extend the East London Line from New Cross to Addiscombe Road but differences in current collection was one of several major stumbling block and the plans were eventually dropped in 1930. 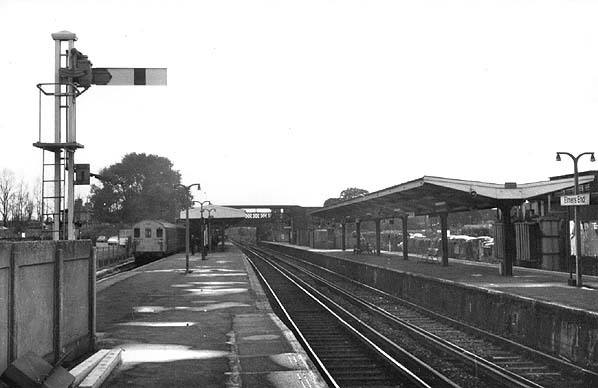 The Woodside & South Croydon Line was closed in 1983, the Addiscombe branch remained open but there was little demand with some off peek trains running empty. By 1993, Woodside station had become unstaffed and Addiscombe booking office was only open during the morning peak hours. After closure the South Eastern & Chatham Railway Society announced a proposal to preserve the terminus, together with its adjoining car sheds and establish a working transport museum. Unfortunately both Railtrack and Croydon Council failed to offer any support to the scheme and after a five year campaign to acquire the site the battle was lost. 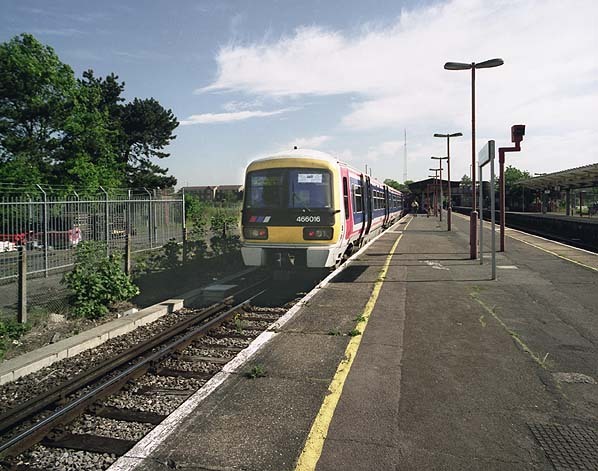 In 2000 Bellway Homes bought the station site with outline planning permission for a housing estate with 65 homes; shortly afterwards Addiscombe station was demolished.